If you adore mac and cheese as much as I do, you just might like this gluten free version. The cheese-delivery vehicle is cauliflower instead of pasta, but still contains all the cheesy goodness you crave. Preheat oven to 425 degrees. 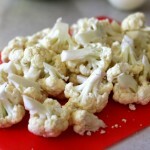 Steam cauliflower florets until tender, about 10-15 minutes. 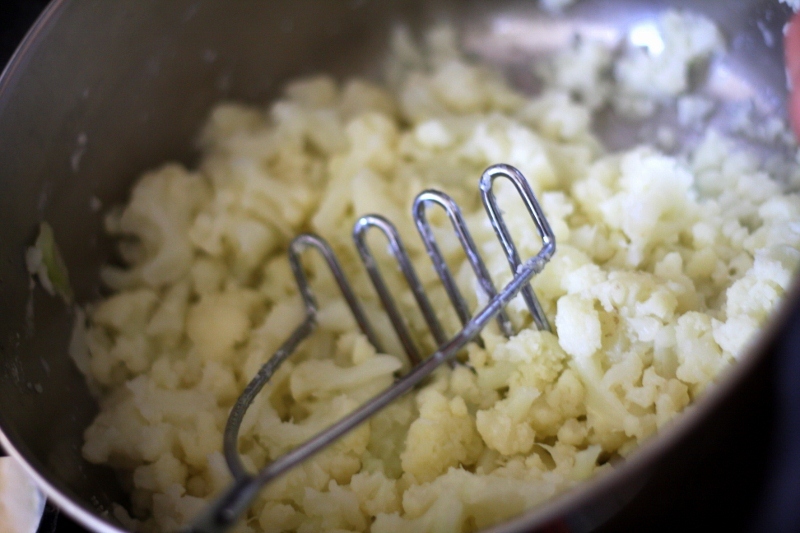 While cauliflower steams, melt butter in a heavy skillet and sautee onion and garlic for a few minutes, until onion is soft. Add cream, 3/4 of the shredded cheddar, 3/4 of the Monterey Jack, cream cheese, and stir until cheese is melted and ingredients are well combined. Remove from heat. 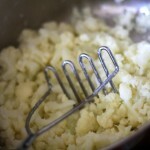 Drain liquid from steamed cauliflower, mash slightly with a potato masher, and add to cheese mixture. 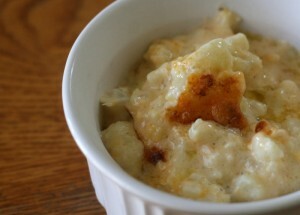 Stir cauliflower and cheese mixture together. Salt and pepper to taste. Pour into a 2-3 quart casserole (or leave in the skillet if you are using cast iron). Sprinkle remaining cheese over the top and bake until cheese is brown and bubbly, about 15 minutes. Enjoy! Pour into a 2-3 quart casserole (or leave in the skillet if you are using cast iron). 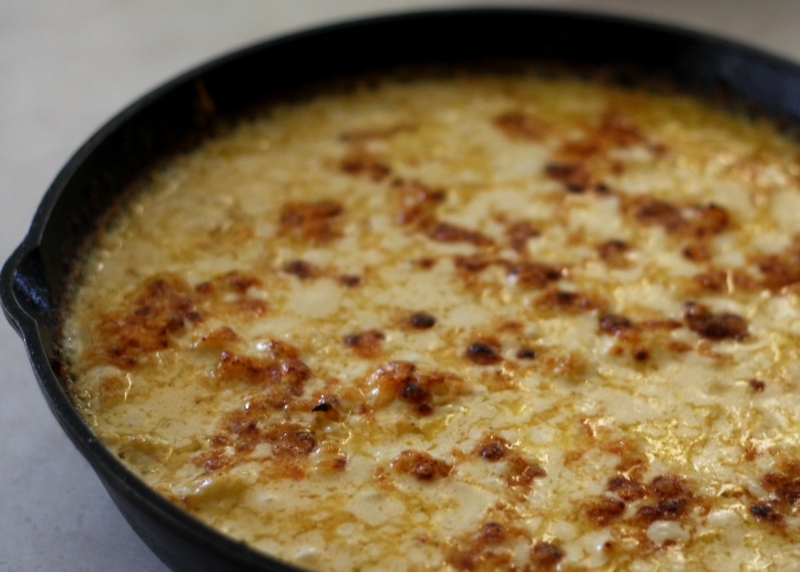 Sprinkle remaining cheese over the top and bake until cheese is brown and bubbly, about 15 minutes. I just put this in the oven. I’m so excited to try. The cheese sauce was heavenly by itself!! Hope you like it! I had it for lunch AND dinner and am sad I didn’t make more! 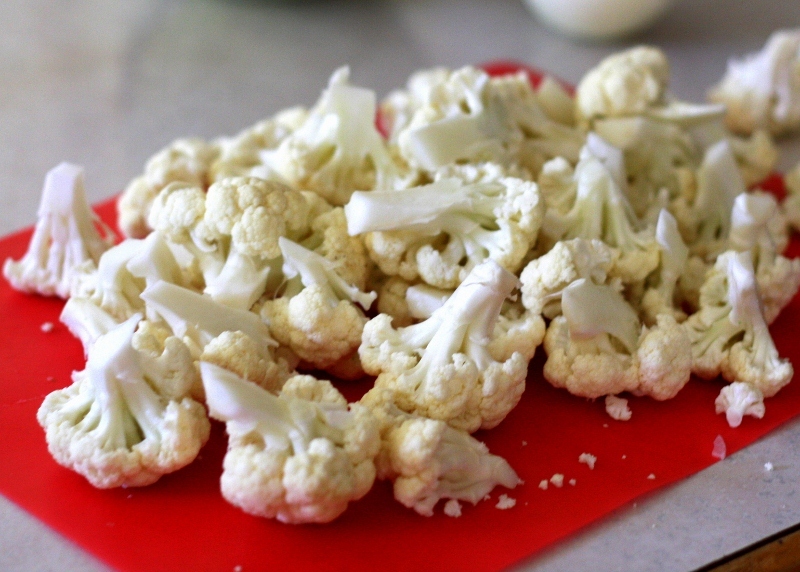 Cauliflower is not a favorite here – nothing against it, just not a fave – but I just bought some just to make this. We’ll see how it goes over. It sounds like a ton of cheese and cream, so not really any healthier than standard mac except for not having the pasta. LOL.